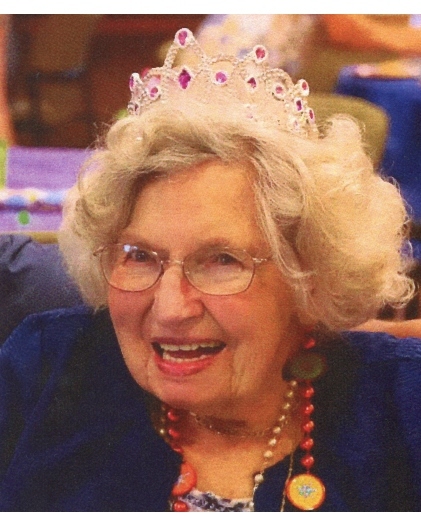 Grace Haas Torgesen, age 100, passed away peacefully at the Charlestown community in Catonsville, MD on Monday, November 13. Grace is predeceased by her husband Robert, her mother and father Mary and Emil Haas, and her brothers Edward and Robert Haas. Grace is lovingly remembered by her daughter MaryAnn (Tom) Marbury of Annapolis MD, her sons Edward (Maria) Torgesen of Cincinnati, OH, and Thomas (Lorraine) and Robert (Linda) Torgesen of Saratoga Springs, NY, her grandchildren Kevin Marbury, Carrie Simmons, Rachel Duzen, Monica Stein, Jake Torgesen and Sarah Torgesen, and her eight great-grandchildren Lucy, Edward, Clementine, Patrick, Donovan, Maeve, Hadley, and Wills. Grace was born in Union City, New Jersey on September 4, 1918. She worked as an executive secretary for the Bell Laboratories in New York City, and later for the Utica Observer Dispatch newspaper in Utica, NY. Grace married Robert C. Torgesen following his service in the Navy during World War II and later raised four children while living in Boise, Idaho and Utica, New York. Grace enjoyed her family and her faith, being very active in Roman Catholic communities wherever she lived. She also enjoyed shopping, playing cards and the joy of simply visiting with her family and friends. A visitation will be held at Our Lady of Angels chapel at 709 Maiden Choice Lane, Catonsville, MD at 11:00 AM on November 17 followed by a Mass of Christian Burial at 12:00 PM. A private burial will be held at Arlington National Cemetery. In lieu of flowers, memorial donations may be made to Our Lady of Angels, 709 Maiden Choice Lane, Catonsville, MD or to the EWTN Global Catholic Network (sd.ewtn.com).